The Student Government Office on the second floor of the Damen Student Center. Student Government of Loyola Chicago (SGLC) plays a key role in many elements of the university; but not all students know what it does and how it works. 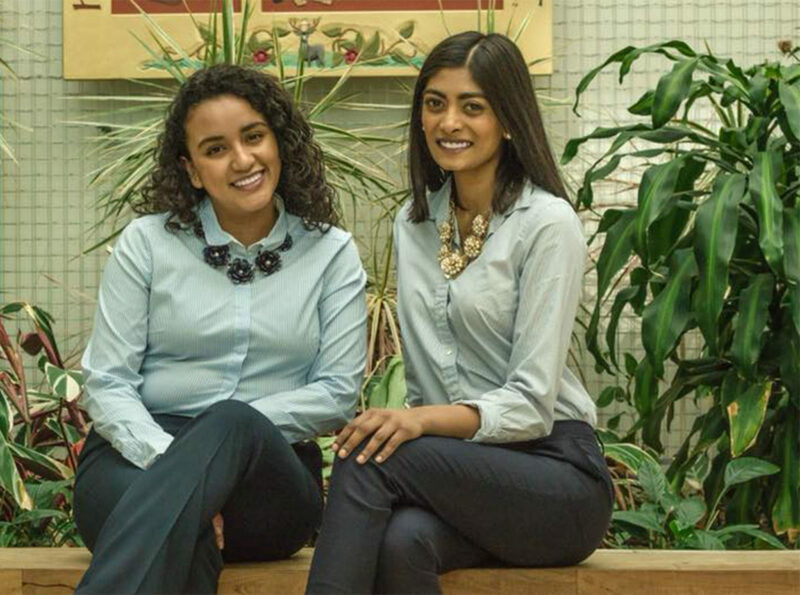 The Phoenix spoke with SGLC President Anusha Mannam about its role on campus. SGLC represents Loyola’s student body and is behind several initiatives — impacting some campus policy. SGLC recently passed legislation which led to a change in Loyola’s overnight guest policy for first-year students and will offer more overnight guest passes per semester. The revisions also remove gendered language from the guest policy. While legislation doesn’t always affect widespread campus policy, it can have both large and small-scale impacts. Previous action made the Loyola Information Commons open 24 hours during the week and brought Lucky Charms back in the dining halls, according to Mannam. Many SGLC initiatives come from student feedback. Students can stop in the SGLC office in the Damen Student Center room 210 to ask a question or voice an opinion or use SGLC’s online form, Loyola It’s Time (LIT). Mannam said LIT has received 124 submissions since it launched and said SGLC has worked to increase exposure by reaching out to peer advisors who work with UNIV 101 classes. SGLC also invites students to participate in surveys during the school year; Mannam said this feedback is important in helping SGLC serve the Loyola community. “It’s really cool seeing what students want because we do have 35 student senators and we’re about 50 people in total, including executive and judicial, but that’s only such a small portion of the student body,” the senior political science and global and international studies double major said. Similar to the American government, SGLC is divided into an executive, legislative and judicial branch. The executive branch is led by SGLC President Mannam and Vice President Adriana Caballero. It also includes other positions, including a chief of justice, attorney general and speaker of the senate, which oversee operations within SGLC. The legislative branch has 35 student senators representing each class, and the judicial board examines legislation and executive orders. There are six committees within the legislative branch that work on projects and initiatives throughout the year — allocations, judicial, academic affairs, facilities and transportation, safety and wellness and residence life and dining. These committees focus on specific aspects within the university and help form legislation. Voting for SGLC senators, chief justice, vice president and president is done yearly by students. New ideas for legislation are discussed at SGLC’s weekly senate meetings and are delegated to a committee to work on, according to Mannam. Legislation is passed either as an act or a resolution. Acts change internal aspects of SGLC and resolutions suggest the university does something, according to Mannam. Ultimately, the university decides if it will take action on resolutions from SGLC. After legislation is passed within the SGLC senate, the SGLC president has to sign off on it, Mannam said. From there, it goes to the SGLC judicial branch where it’s either approved or sent back to the senate for revisions. What should students expect from SGLC this year? Mannam, 21, said SGLC is continuing to work on initiatives to improve student life at Loyola. They are working to make the university more accessible to students with disabilities. An initiative from the academic affairs committee is expected to offer American Sign Language as a course starting in the spring semester, Mannam said. Mannam said SGLC plans to take action following a resolution calling for the university to purchase 100 percent renewable energy by the end of the 2019 fiscal year. The resolution is supported by Loyola’s Student Environmental Alliance, and Mannam didn’t have any updates on the project at the time of publication. Members of the Loyola community are welcome to attend SGLC’s weekly senate meetings Tuesdays at 4 p.m., which give updates and discuss ongoing projects. The location of the meetings vary and are listed online. New ideas for acts, resolutions and initiatives are also discussed at senate meetings, according to Mannam. Voting in SGLC elections each spring semester is important, according to Mannam. Last year, voter turnout was low with 18 percent of students participating, The Phoenix previously reported. Mannam said SGLC is planning to increase its presence on campus. One way they’re doing that is by having senators reach out and present to student organizations about SGLC. More information about SLGC can be found on its website.